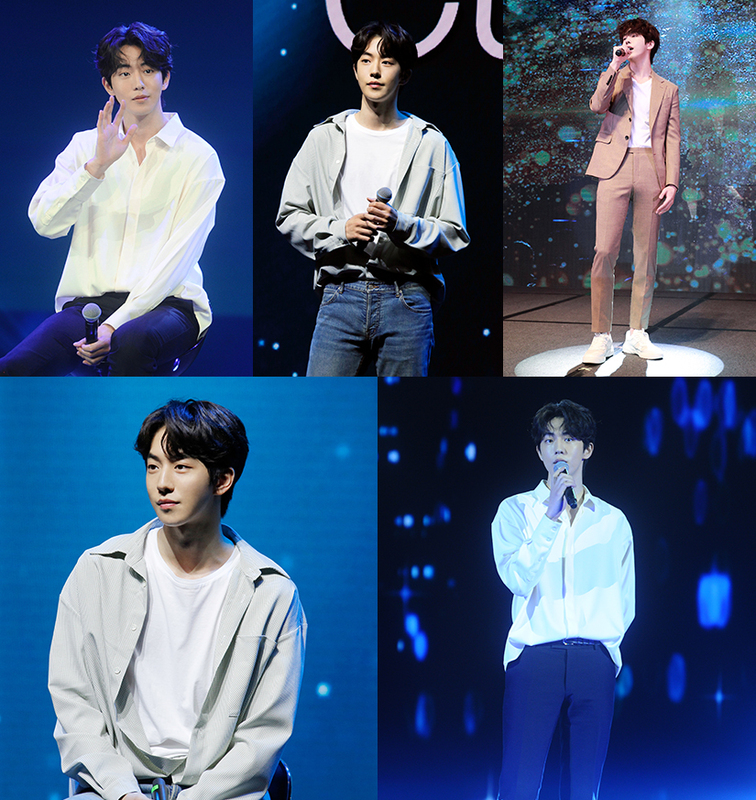 Actor Nam Joo hyuk's second overseas fan meeting tour has successfully finished. Starting with Hong Kong (2/24, International Trade Exhibition Center Rotunda Hall3), Nam proved his global popularity through his four-nation Asian fan meeting "CURRENT," which went on to Bangkok (3/2, Shodish Ultra Arena Hall), Kuala Lumpur (3/23, Kayel C.C. Flannery Hall), and Taipei (3/30 and Legacy Max Hall). The overseas fan meeting tour followed in 2017, was carried out thanks to requests and support from Asian fans that they want to meet Nam Joo hyuk again. Nam joo hyuk opened the portal with his latest talk on various topics, including his work activities and hobbies, family, friends, and dreams. He spent a warm and meaningful time with fans as an actor and an honest story about "Now" as a young man, matching the purpose of the fan meeting title "CURRENT." In addition, he opened his favorite playlist and improvised songs for a warm reception. Nam joo hyuk was excited and delighted by the fans' enthusiastic response, and drew attention by revealing his gratitude in person at each performance. Nam joo hyuk said "I've been using the word "really" a lot lately, but I should become a really good actor to repay the fans who support me from afar and I'll come back as a good acter"
He was also well-received in the recently ended drama "Dazzling" showing off his strength as the next Korean wave star. Nam Joo hyuk chose Lee Kyung mi's original Netflix series as his next film, signaling a change in acting.